It's a high stakes game for those committing crimes and those whose job it is to stop them - but policing tactics aside, there's still nothing quite as disarming as a dog. This photograph has struck a tender chord among animal lovers on social media, evidence of the undiscriminating affection that makes dogs such cherished beings. 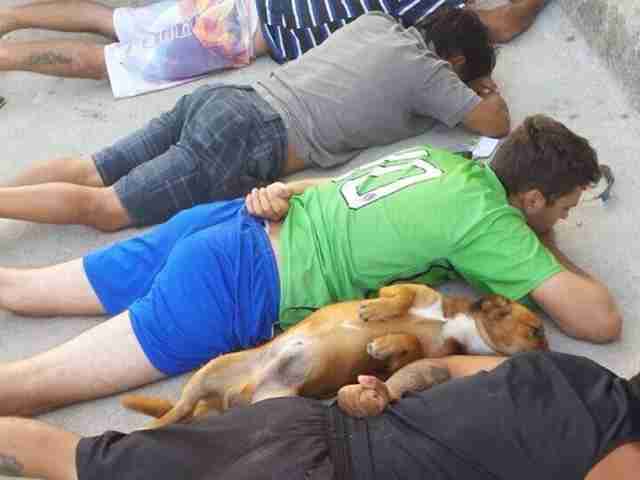 During a recent drug stop by police in Florianopolis, Brazil, a group of suspects were joined on the ground by a friendly stray dog. 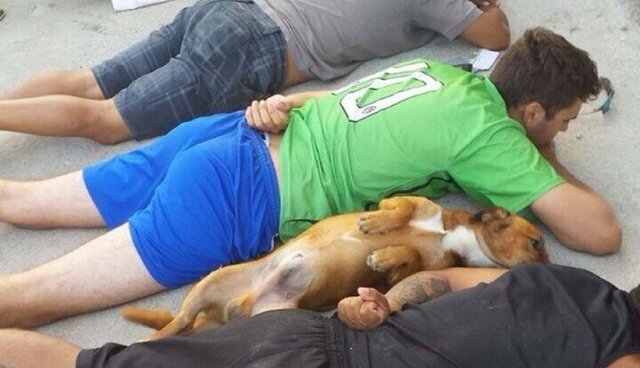 An image from the scene has since gone viral - not for its depiction of people suspected of a crime, but rather for the animal who seems eager to love them regardless. The sweet dog has become something of a social media darling in Brazil, but locals say he's been a beloved fixture of the coastal community since long before, Globo News reports. Pilota, as he's called, is a healthy pup who spends his days napping on porches around town, happily accepting care, food and affection from local folks - and, apparently, even expecting it from those a little too detained to comply.